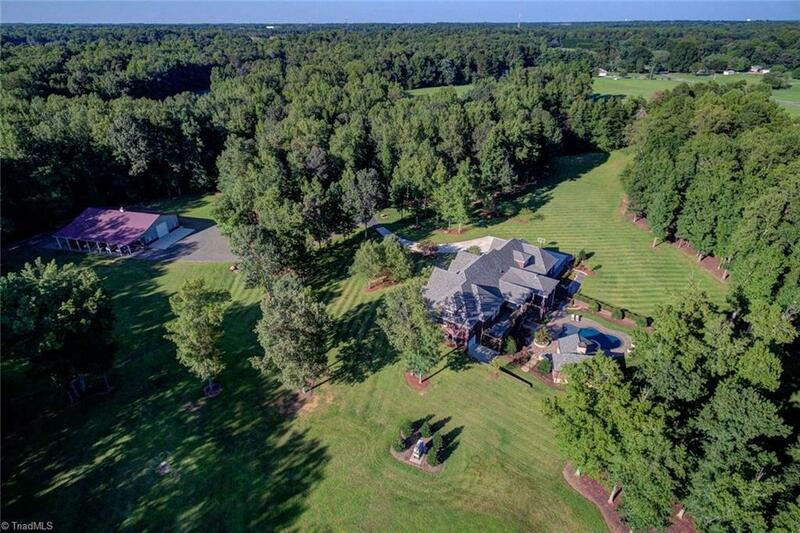 37+/- acre estate in the heart of the Triad offers a unique opportunity for the extremely discerning buyer. Attention to detail and immaculate maintenance abound in the main house, 48x84 bldg, custom pool/pool house and grounds. Customized with entertaining and privacy in mind the home offers main level living and a full finished walkout basement for visiting guests. Enjoy the heated salt water pool and hot tub, relax on the covered pool deck or enjoy everything this outdoor-lover's paradise has to offer!